Hello First of all i would like to thank you for taking interest in reading my blog.Many people ask me about Responsive terminology in web designing and Development. Responsive design can help you boost your business with user friendly interface! 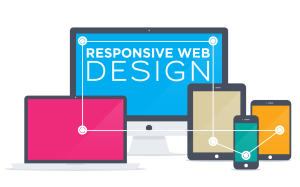 Responsive web design is no doubt user friendly and can help you boost your business. Visitors don't feel hassle while viewing responsive design oriented sites and that ultimately generate sales for you Hence, boost your business in a long run. My Name is Rana Waqas (Head Developer of the Team). I am a professional Web Developer/Designer hailing from Lahore, Pakistan. I sleep, eat and drink Web Development/designing and SEO. I am Technology freak as well and write articles to share my knowledge.